"Hostwinds" Reviews (Apr 2019) - Why 4.8 Stars? A high-powered hosting option for both performance and affordability, Hostwinds offers a full slate of services backed by modern infrastructure and 24/7 support. Given the wide range of complicated server configurations available, the company's superb uptime guarantee and reliable customer service make web hosting with Hostwinds a breeze. “Promising enterprise-grade hosting solutions for prices that appeal to small and medium businesses, Hostwinds delivers the full range of operating systems and server configurations to help customers build and grow an online presence. With hosting plans covering niches like vBulletin and Minecraft, Hostwinds attracts a customer base as mixed as the server configurations. “A recurring theme in the Hostwinds product lineup, the company offers multiple configurations to ensure every customer's needs are perfectly met. The standard shared hosting services compete with the likes of InMotion Hosting, SiteGround, and A2 Hosting. Modern solid-state drives place Hostwinds and the others in a somewhat more expensive hosting bracket, but savvy customers will notice the value. “At the highest end of the hosting spectrum, it can sometimes be challenging to discern which servers reign supreme. Providers naturally put their finest hardware and most luxurious features at the forefront when it comes to attracting customers for high-price dedicated hosting. Hostwinds, however, somehow manages to eke out ahead of the rest on the strength of the company's incredible range of configurations. 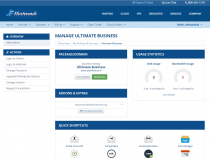 “Does any hosting provider have more virtual private server packages than Hostwinds? The company offers 10 configurations — and that's just for managed Linux server partitions. Hostwinds provides 10 additional plans each for managed Windows VPS and unmanaged varieties of both operating systems. Laura Bernheim (HostingAdvice.com): This rating is not available yet. We haven't evaluated Hostwinds for the "WordPress" option yet as they do not currently offer this type of hosting service. We're always working to keep our reviews up-to-date so check back later! Does Hostwinds already offer the "WordPress" option? Let us know. Laura Bernheim (HostingAdvice.com): This rating is not available yet. We haven't evaluated Hostwinds for the "Website Builder" option yet as they do not currently offer this type of hosting service. We're always working to keep our reviews up-to-date so check back later! Does Hostwinds already offer the "Website Builder" option? Let us know. Advanced configuration processes through the company's Windshield service start with a systematic security evaluation to identify areas for improvement. A firewall and server hardening system further reduce your vulnerability. Hostwinds offers FREE installation of private SSL certificates. Customers looking to enhance their brand's credibility and trustworthiness can choose to secure their site with 256-bit encryption for one to three years at a time. The Hostwinds virtual private network eliminates the risks associated with third-party tracking and identity theft. The secure connection is available across multiple devices through an easy-to-use application. Hostwinds predominantly uses the ultra-fast LiteSpeed web server, but Apache and NGINX can be used for increased stability and flexibility. Because the company doesn't overcrowd its servers, customers have more resources to handle traffic spikes and process requests. A variety of solid-state drives power the majority of the Hostwinds infrastructure. The enterprise-grade storage devices are fine-tuned to produce 500% faster page loads than many competitors. Hostwinds might be the only company we've seen that offers a hosting service directly marketed to Minecraft players. The VPS plans use top-notch SSD drives and processors for a high-end gaming experience. The only CPV Lab-approved hosting provider, Hostwinds optimizes hosting plans for the tracking, testing, and optimization platform geared toward affiliate marketers, merchants, advertisers, and agencies. The company's impressive and modern hardware also excels with WordPress and vBulletin hosting. Both platforms can be automatically installed with a single click, and site owners can enjoy the same reliability and unlimited computing resources. 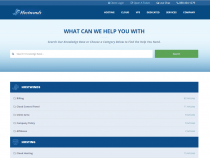 CEO Peter Holden launched Hostwinds after several aggravating support experiences with other providers. As such, Hostwinds customers can enjoy a 60-day money-back guarantee and 24/7 personal support. With stunning levels of security and redundancy built into the Hostwinds network, the company is able to promise a staggering 99.999% uptime guarantee. Such a rate is typically reserved for premium services from luxury hosts. Hostwinds makes website transfers, undoubtedly one of the most annoying parts of moving to a new hosting provider, extraordinarily easy — and FREE. The company guarantees zero downtime as it moves your files and databases in a secure, fast, and efficient process. Users will enjoy interacting with the Hostwinds account and website management tools, which look modern and provide clear paths to the most useful tools. We particularly like the quick shortcuts and email account creation tools the company places front and center of the account dashboard. 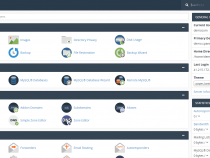 Everything operates as you'd expect, including the cPanel access to installation scripts, metrics, email settings, and security tools. Above all, we appreciate how easy Hostwinds makes it to request help; customers can easily open a ticket or search the knowledgebase from the account dashboard, and a support agent is always available through a minimized live chat window in the corner. Although Hostwinds has a hard time standing out in a crowded shared hosting market, the company really sets the mark for affordability in the VPS realm. We have no qualms about the company's shared hosting prices, given the superb infrastructure, features, and uptime, but we realize most bargain hunters are strictly looking for lowest prices. Our jaws hit the floor, however, when playing with unmanaged virtual servers from Hostwinds. Granted, you'll have to take care of server maintenance and updates, but you'll be hard-pressed to find similarly equipped server partitions at more attractive rates. The deals decrease as you add managed support and scale to higher tiers, but Hostwinds excels at finding optimum price-versus-performance points across the spectrum. Hostwinds spends as much time perfecting and streamlining customer support as the company does optimizing its hosting hardware. The company's system engineers are available to customers every moment of every day, and Hostwinds guarantees a quick response: five minutes for email tickets and 30 seconds for live chat and phone calls. Monitoring and backup plans are available to further protect your information, and the company's 99.999% uptime guarantee is practically impossible to beat. Wondering how Hostwinds stacks up againt other web hosting services? See our host-vs-host reviews below and compare them side by side. 3 out of 5 times. A young and hungry hosting company, Hostwinds exudes confidence and friendliness when it comes to providing reliable, secure, and speedy support and servers. The company offers above-average uptime and enterprise-grade hardware to power an incredibly vast array of services useful to customers at all stages of their web hosting journey. Boasting multiple options at every turn, Hostwinds is sure to offer exactly the product you need at a reasonable rate.